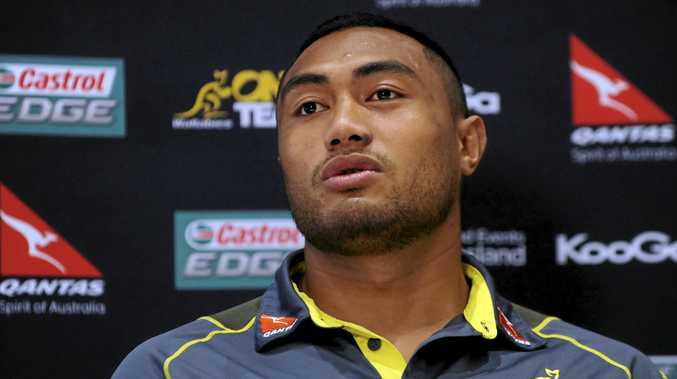 RUGBY UNION: Australia forward Sekope Kepu will miss the start of the season after being handed a three-week suspension for his flying shoulder charge in the Wallabies' 53-24 Test defeat at Murrayfield. The ban will kick in at the start of next year as Australia are not scheduled to play again until then. Kepu was shown a red card in the first half after hitting Scotland's Hamish Watson in the head with his shoulder. Kepu's exit triggered the Wallabies biggest loss to Scotland in 90 years, with Australia coach Michael Cheika afterwards admitting "the referee really didn't have much alternative” but to dismiss Kepu for the hit. Kepu fronted an independent World Rugby-appointed disciplinary committee on Tuesday, to answer against an infringement of law 10.4 (h), which states 'a player must not charge into a ruck or maul. Charging includes any contact made without use of the arms, or without grasping a player'. The committee said Kepu had accepted the tackle was an act of foul play which had warranted a red card. The committee took into acount Kepu's remorse and previously clean disciplinary record, providing the "maximum discount of 50 per cent and reduced the length of the suspension to three weeks”.